If you know me, you know I absolutely adore afternoon tea. I was first introduced to the concept of afternoon tea in 2009. I was visiting Disney World for Spring Break and had heard that you can take a traditional afternoon tea at the Grand Floridian hotel next to the Magic Kingdom. I immediately called my friends who would be visiting Disney World with me and asked if they wanted to have tea with me. Thankfully they said yes and so one afternoon my obsession was ignited. I just adore afternoon tea. There is nothing quite like sitting around with beautiful china, small sandwich, scones, and desserts while sipping a yummy cup of tea. I love the conversation you're able to have with the ladies you take tea with and the overall atmosphere of having tea in a beautiful setting. My first trip to the Garden View Tea Room at the Grand Floridian in 2009, I have returned to this same tea room at least once a year, sometimes twice a year if I had special guests visiting who I wanted to take part in the experience. 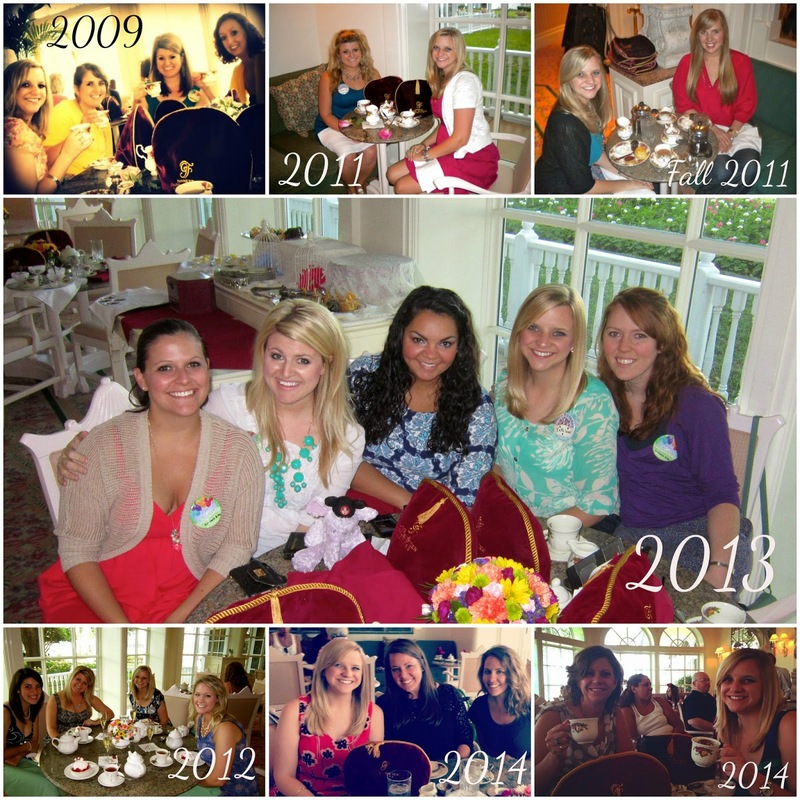 The collage shows all the different times I've taken tea at the Garden View Tea Room. Their china is my favorite design, the Royal Albert collection. 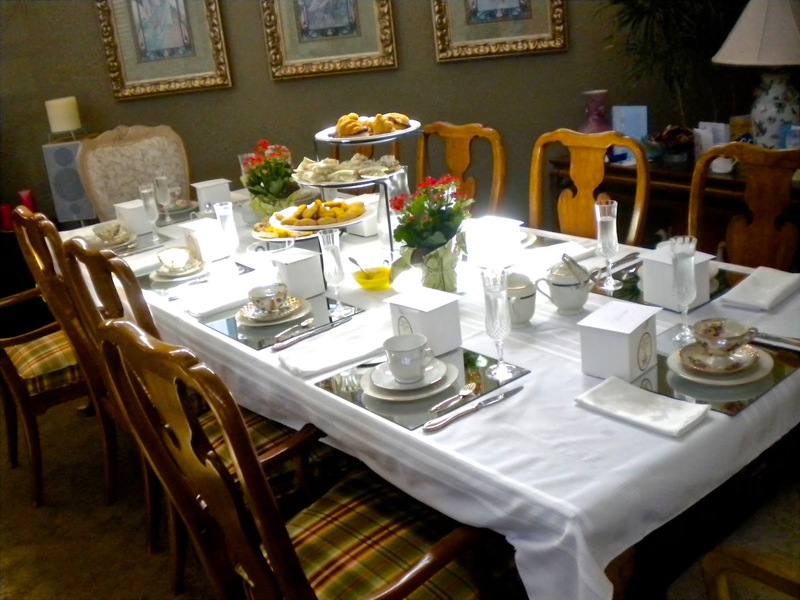 The room only holds about 35-40 people so it's a good idea to make a reservation in advance, especially if you have a large party attending tea with you. They have huge bay windows over looking the Grand Floridians garden. It really is the perfect setting. Tea time is from 12pm-5pm. And if you make your reservation between 2 and 4 you get to enjoy the musical entertainment offered by the hotel. You can expect to hear either the piano player playing some Disney classics and favorites. Or you can hear the Grand's jazz band playing big band hits as well as the Disney classics. I think I like posing with my tea cup. Here we have the years of 2011 and 2013. While the Garden View Tea Room is the place I've been to the most for afternoon tea it is not the only place I've been. This tea room is located in Albuquerque, NM and is such an amazing setting for tea. As you walk in they have a cute little tea shop where you can purchase tea, tea time accessories and other cute little nick knacks. The rest of the rooms are designated for afternoon tea. Each space is a little different and is themed different. For example the space our party was seated in a Pride and Prejudice themed space. They had each space sectioned off by large drapes to give each party privacy if they choose. Now keep in mind I've only visited this space once and that was back in 2010. I would really like to visit again and take pictures of the room with my big fancy camera because it really is a gorgeous setting. I took a few pictures while I was there but my camera was not the best so the pictures are very overexposed and the lighting is terrible. 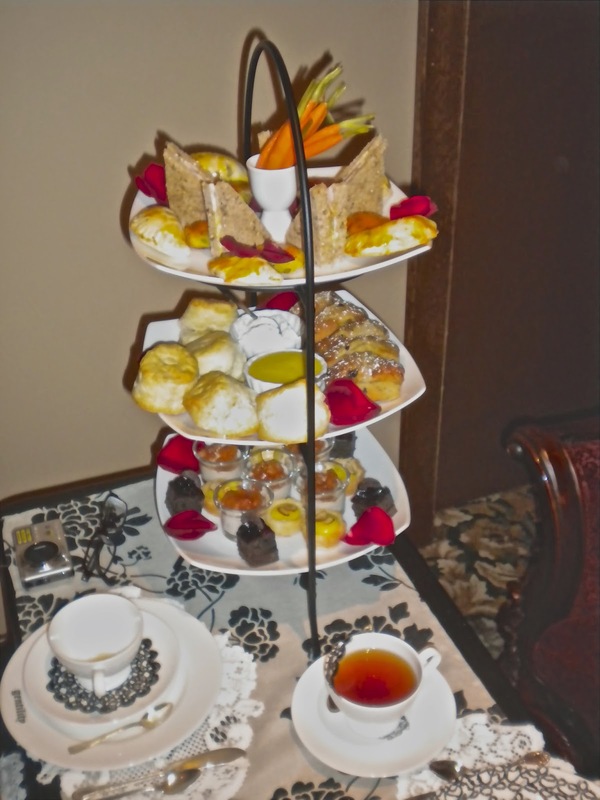 Like most tea rooms the St. James has different levels of afternoon tea you can enjoy. And prices vary depending on the level of tea your party decides to partake in. What I loved about this room was that you got to enjoy different teas with the different courses. As it was served the waitress would recommend the best way to take the tea. With or without cream and white or brown sugar. Btw, brown sugar cubes in tea is the best. 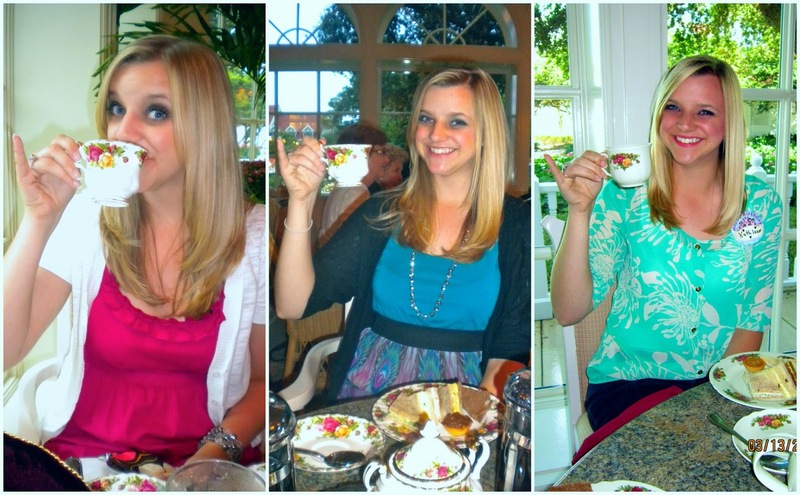 I call the summer of 2010 the summer of the Afternoon Tea. 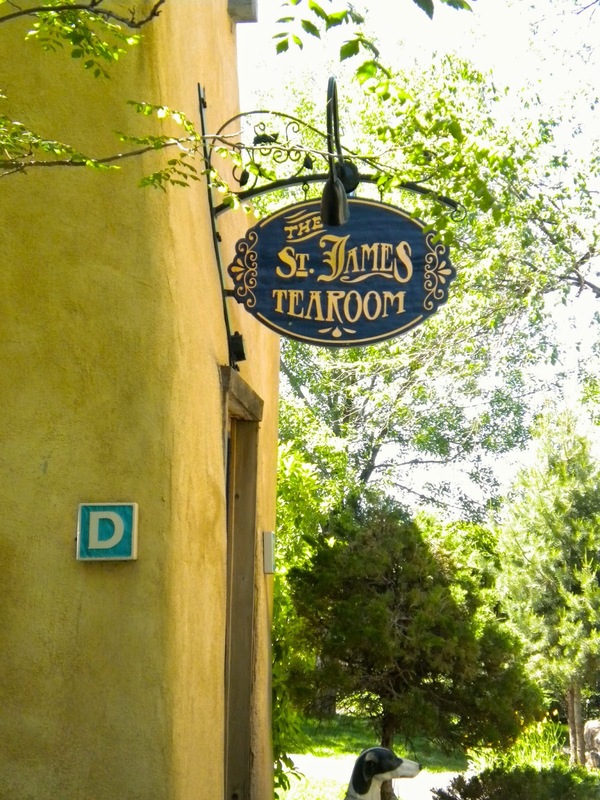 We visited 2 different tea rooms one being the St. James Tea Room and the other was one in Las Cruces, NM. The one in Las Cruces was so so and I didn't take any photos while we were there. But I did host an afternoon tea myself, for Jenny's birthday and we attended another hosted by a friend of Jenny's mom. Unfortunately no photos were taken at the birthday tea I had for Jenny, save for one of the table. We used a variety of different tea cups which made for an eclectic afternoon tea. My mom has a small collection that used to belong to her grandmother and we found a few others at an antique shop. Now I did snap a few of the tea hosted by the friend of Jenny's mom. She had the prettiest little set up. 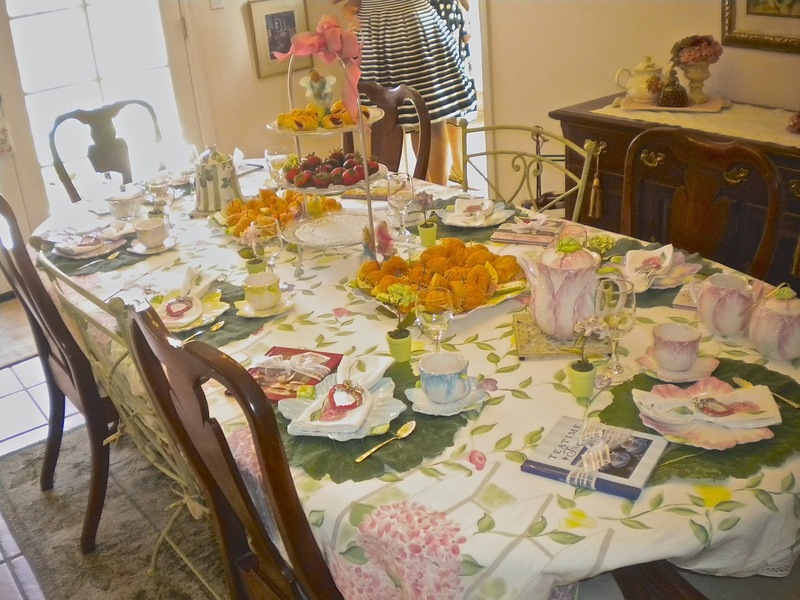 We had tea sandwiches, little strudel cakes, chocolate covered strawberries, and she served different types of T winnings tea. She provided each of us with a cute little party favors in the form of books giving little tips for hosting your own tea, as well as, recipes for different sandwiches, scones, and desserts. I am so excited to be visiting the afternoon tea capital of the world this summer. We have plans to have tea at The Orangery at Kensington Palace. I've been checking the website everyday so we can make a reservation for one of the afternoons we'll be in London. 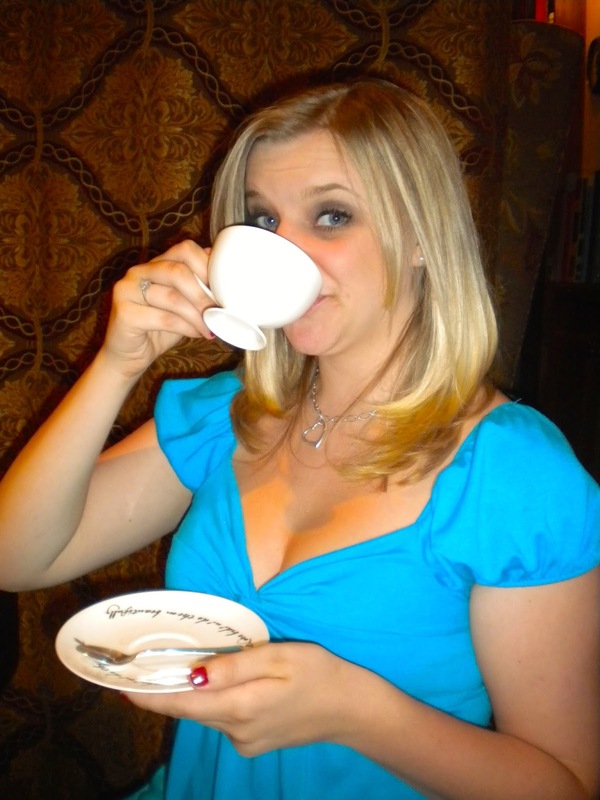 If you're a fan of afternoon tea I highly suggest reading the following blogs. They do a fantastic job of reviewing the best places to have tea while in London. 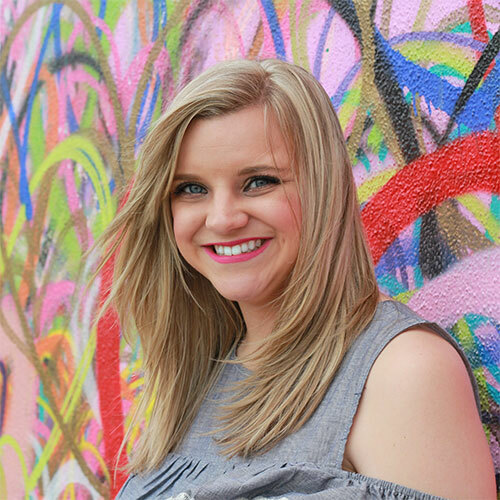 Rhyme and Ribbons - Another American born Londoner, she has a great list of reviews of restuarnats and tea rooms around London. Additionally if you want a laugh and to look at some pretty pictures click here and it will take you to a BuzzFeed article about taking Afternoon Tea at the Fortnum & Mason as department store/restuarant in London. I am so beyond excited for my Afternoon Tea at Kensington Palace. Not only do Will and Kate live there but the pictures look absolutely amazing! 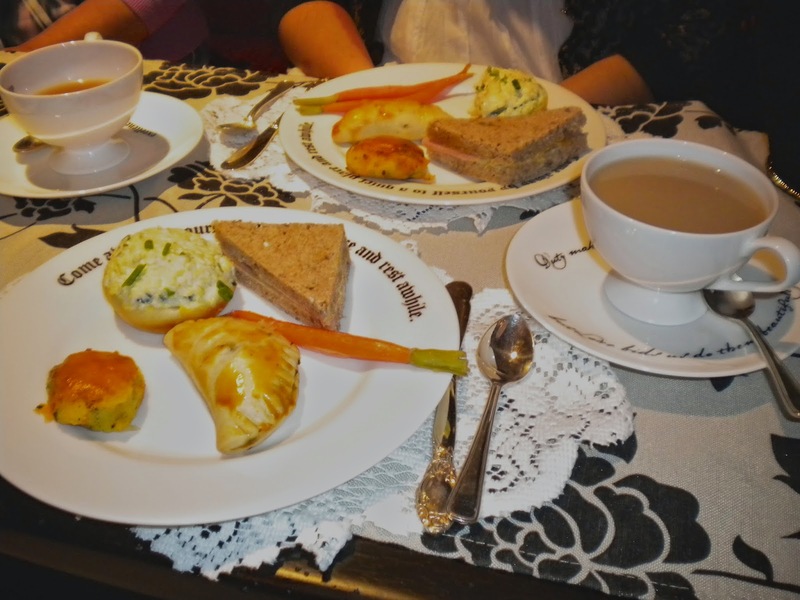 Have you ever taken afternoon tea? If so, how was it? 1. I was at teatime once but I don't see me in any of the pics! 2. 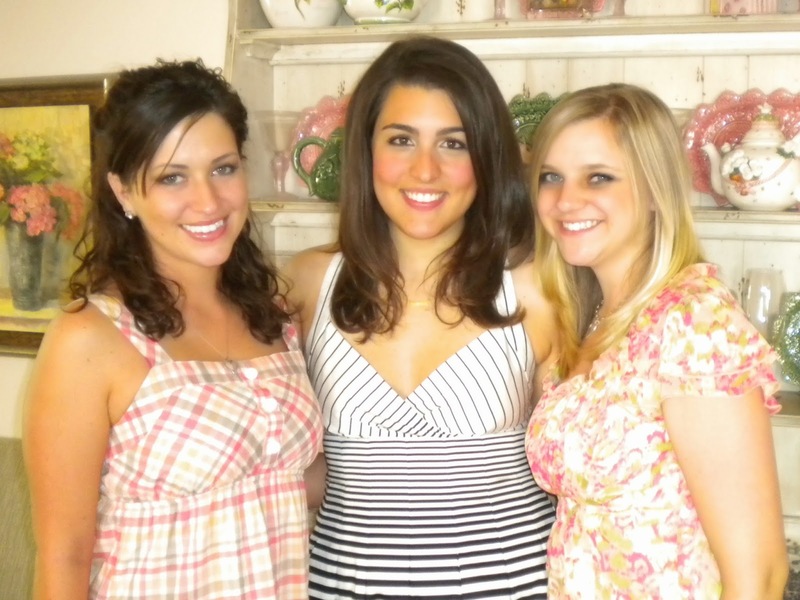 I have decided that if I ever am pregnant with a girl my baby shower will be a tea party.